With the grand opening to our newest community in Delaware County fast approaching (details coming soon! ), we are unveiling 3 exciting new floor plans that exemplify why Radnor Walk really is “The Best New Address on the Main Line”. 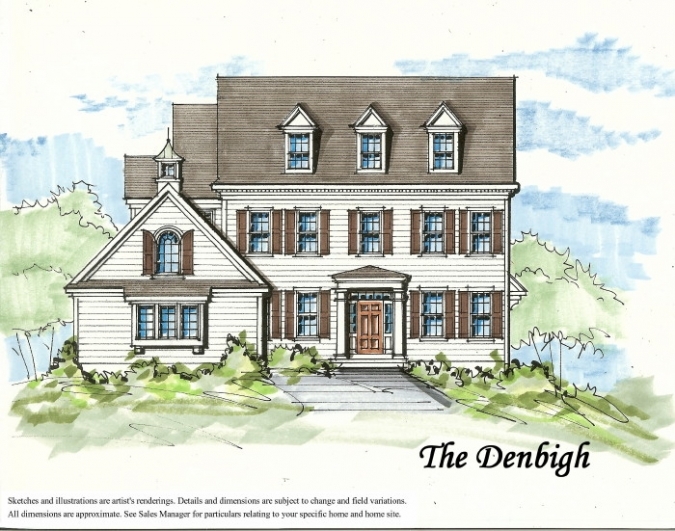 Our Denbigh, Denbigh Etage, and Linden models, each possess the timeless design and exceptional quality that distinguishes a Bentley home from all other new Main Line homes in Delaware County. What truly defines the luxurious 3,600 square foot designs, however, is their highly personal functionality. The Denbigh Etage seamlessly blends the advantages of one-level-living with the style and space characteristic of multi-level designs. Like the Denbigh Etage, the Denbigh model also focuses on flexibility by providing additional, separate living space over the garage for parents or older children. This secluded alcove is also perfectly suited for a private office or art studio. Build your new Chester County, Delaware County or Main Line home with our award-winning, inspired designs in picturesque surroundings. Every new Bentley home is built to last a lifetime, so too will the memories made within it!